Manny Pacquiao steps into the ring again, this time against the tough Adrien Broner. We have all you need to know to watch and follow the action. Boxing legend Manny Pacquiao is back, and he’s got an opponent he’s been linked to for some time: Adrien Broner. They’re set to face off for Pacquiao’s WBA welterweight championship on Saturday, live on Showtime pay-per-view (live streaming via Showtime). The four-fight PPV broadcast begins at 9 p.m. ET on Saturday. Pacquiao, 40, is 60-7-2 for his career, and is coming off a TKO victory over Lucas Matthysse in his last outing. Prior to that, he lost a unanimous decision against Jeff Horn in a fight that many thought Pacquiao should have won. Broner, 29, is 33-3-1 and is coming off a draw against Jessie Vargas and, before that, a decision loss to Mikey Garcia. Broner’s last win was a split decision win over Adrian Granados, with TKO victories over Ashley Theophane and Khabib Allakhverdiev prior to that. 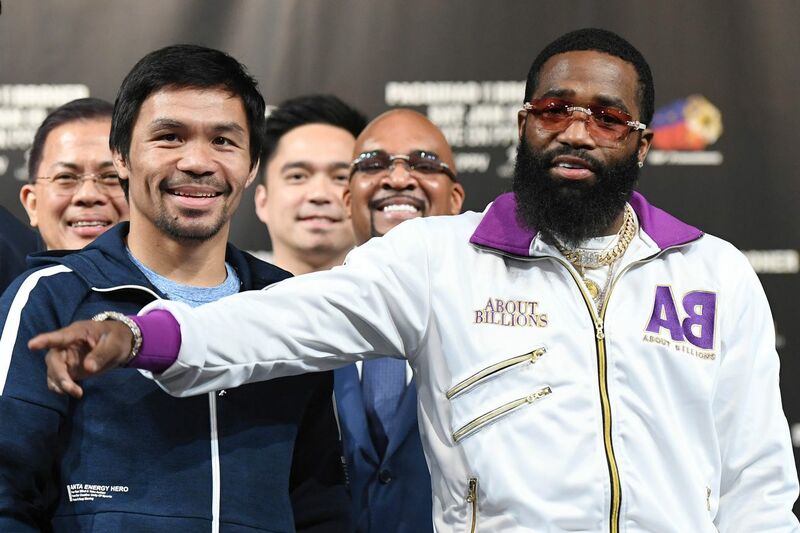 Pacquiao is far from the best in the sport or even the weight class at this point in his career, but Broner has been recognized as a fighter who seemed on his way out for some time. Despite being 11 years Pacquiao’s junior, Broner is widely considered the more “washed up” fighter by the general boxing audience. Still, these are two great boxers who are more than capable of putting on a great main event, and they’re joined by six others on the pay-per-view broadcast. Undefeated Jhack Tepora (22-0) will be taking on Hugo Ruiz (38-4) in a featherweight contest. In another featherweight bout, Badou Jack (22-1-3) will face the undefeated Marcus Browne (22-0). Finally, Rau’shee Warren (16-2) will face another undefeated boxer in Nordine Oubaali (14-0). Warren vs. Oubaali is for the vacant WBC world bantamweight championship, Jack vs. Browne is for the vacant WBC silver light heavyweight strap and Tepora vs. Ruiz is for the interim WBA featherweight belt. Below is all you need to know to watch the action on Saturday, including live streaming info and the full fight card. We will have live coverage of the event with round-by-round breakdowns on Saturday evening. Location: MGM Grand Garden Arena, Las Vegas, Nev. Odds: Pacquiao is favored at -300 at the time of writing, per OddsShark.